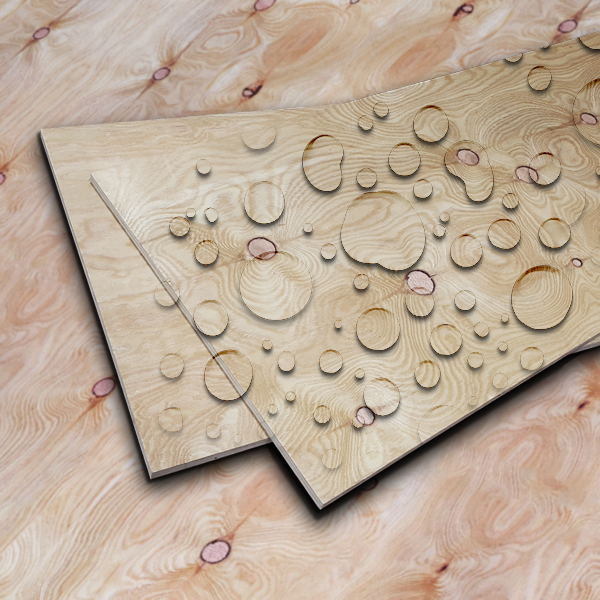 The optimized plywood exclusively for roofing! 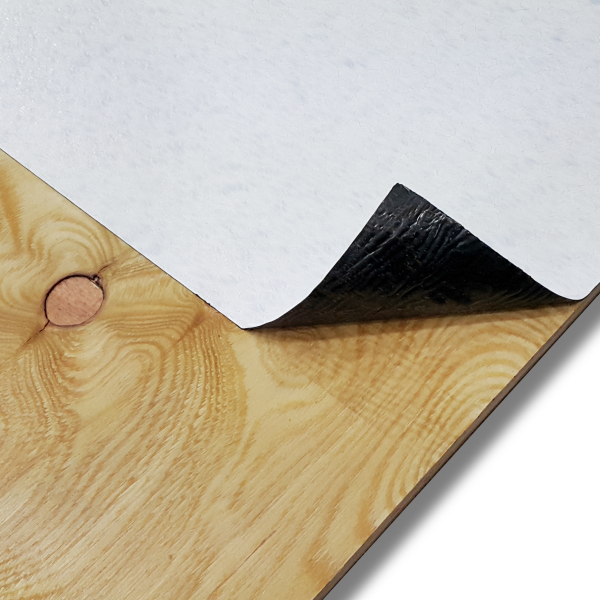 ROOFDECK is KS certified high quality 1st class plywood which is optimized for construction environment and suitable for rough outdoor environment. 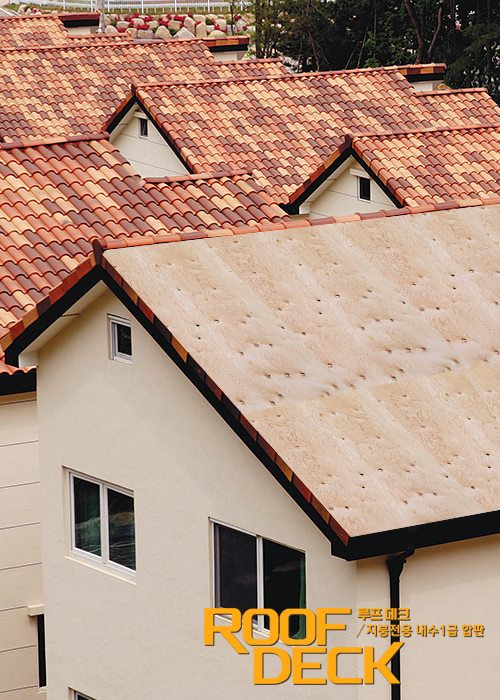 ROOFDECK protects your space from the harsh natural environment. 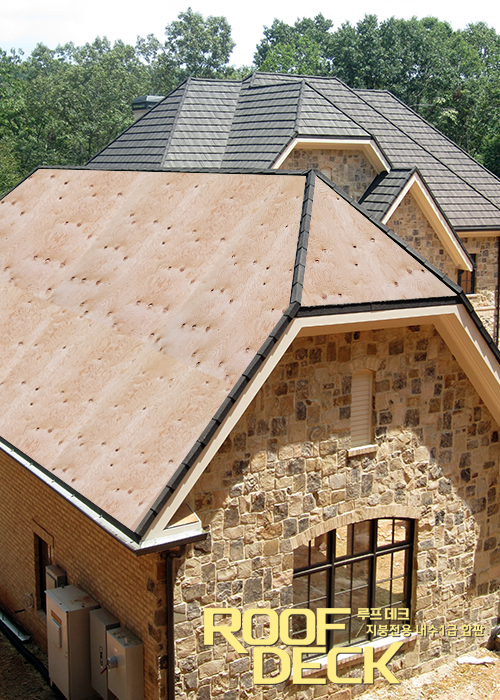 ROOFDECK is “the 1st class plywood for roofing” with improved water resistance, bending strength, anti-slip function, and handling. Protect your space from the wild environment from the outside of the building. 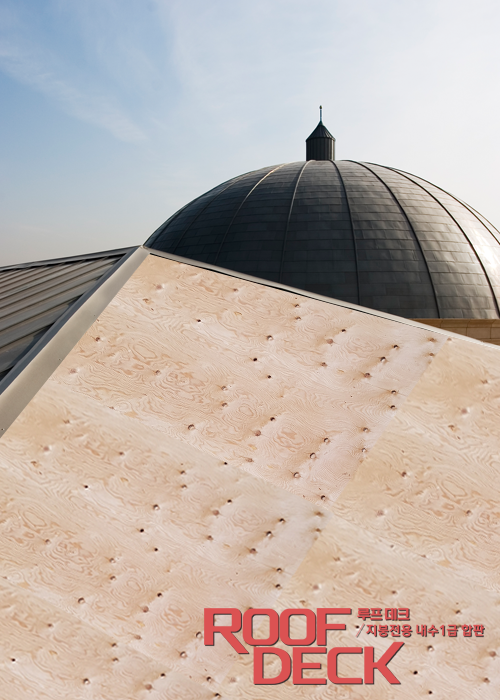 ROOFDECK improves water resistance and strength by using a “high-strength larch wood” for the face and back layer. 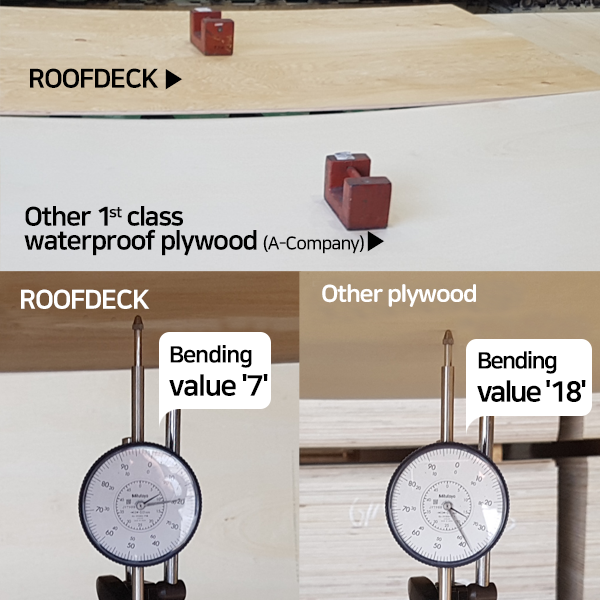 ROOFDECK has better bending strength than many other plywood products of the same thickness. 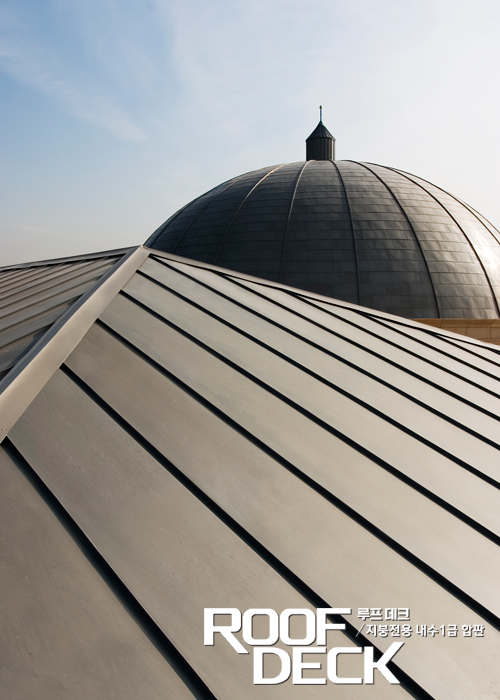 Using ROOFDECK which has excellent bending strength can ensure safety of roof structure and save costs from using additional support structure and incidental expenses. During a roofing job, the slippery surface risks safety of the construction workers and extends construction time caused by difficulty in walking. 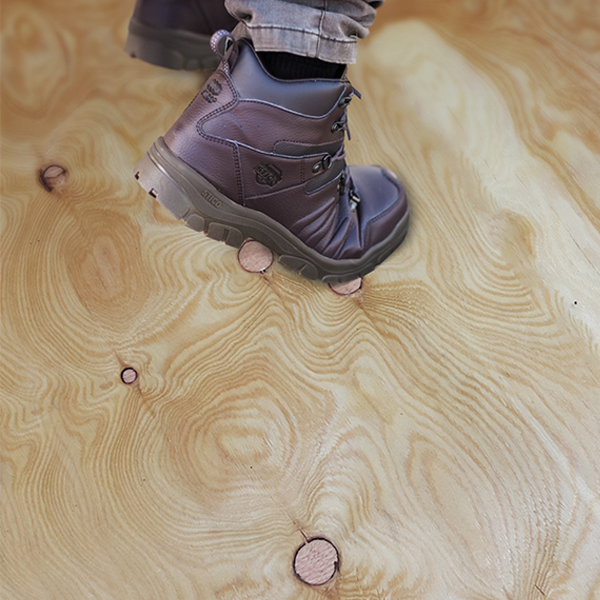 Different from other plywood products, the surface of ROOFDECK is specially designed to ensure the safety of worker to walk against slope roof. 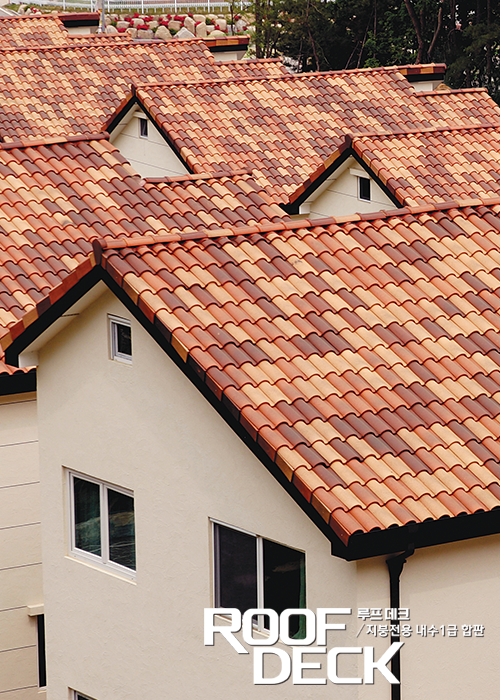 The ROOFDECK is perfect and satisfactory for any roof material. 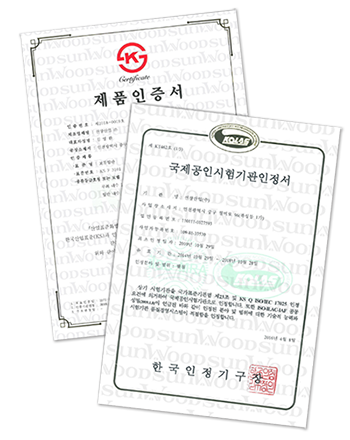 ※ Test method : Prepare test specimens according to the Korea Forest Research Institute Notice No. 2017-9. If you have any questions about the ROOFDECK, please feel free to contact us. 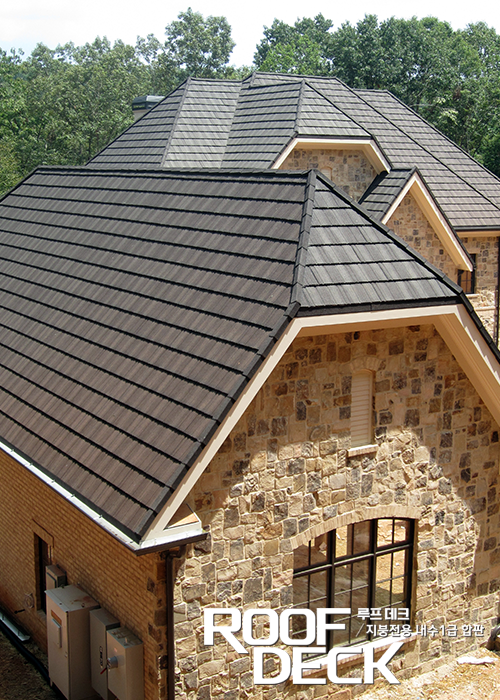 Roser Co., Ltd. is a domestic company specializing in roofing materials and exterior materials. One Bldg. 12F., 121, Teheran-ro, Gangnam-gu, Seoul, Korea.